Is the performance of our universal single-cut saws inadequate for your needs? You need even greater ouptut? Then our RASACUT MC is exactly the right saw for you! The RASACUT MC is optimally suited for a variety of applications in the automotive, steel trade, furniture and scaffolding industries. Thanks to high output, costs per piece are drastically reduced. Added to this are very high cut quality, rapid change-over for short auxilary process times as well as linear saw geometry for a short cutting path. Thanks to its unbelievably robust construction,the RASACUT MC can be used in a steel works as well as in CNC-sawing and is suitable for three-shift operation. Operator instructions are provided primarily through pictogrammes and available in nearly all national languages. Control thus demands no CNC-skills from the operator to set the parameters. 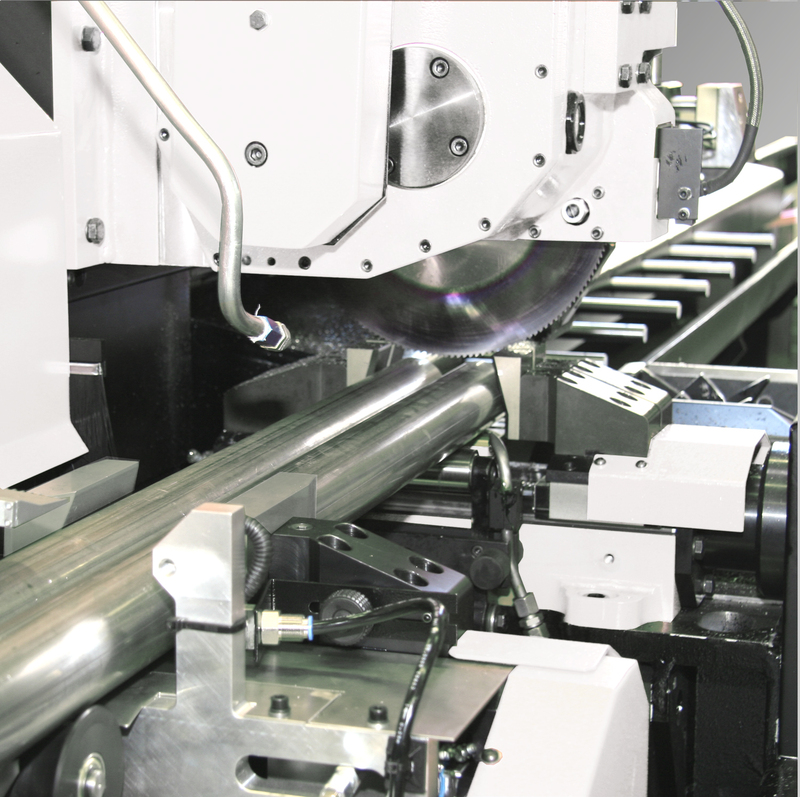 Precise separation, automatic layer formation and rapid feed of output lengths parallel to the cutting process. Gripper feed with rapid linear drive; no re-positioning of grippers along fixed length, thus reduced travel time. Easily accessible saw blade, replacement in about 1 minute. Quick tool switching for short auxiliary process times, linear saw geometry for short cutting paths. [Cutting Speed: continuous 30 to 250 m/min.